Nobody said working for yourself would be easy. While the freedom of independence is wonderful, the responsibility of having to manage everything yourself can be daunting. Fortunately, you’re far from alone. 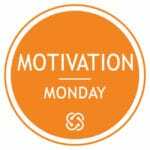 With Motivation Mondays, you and a small group of fellow business professionals gather weekly at Social Workplace to set goals, tackle challenges, and keep each other accountable. What’s something you’d really love to tackle, but always seem to get stuck with? Is it a project you’ve been meaning to finish for months or years, or a better way of reaching out to new clients? Maybe you’ve been putting off redesigning your website, or digging into professional development and it’s slowly eating away at you. As a member, you have a chance to put the community around you to work for you. By joining this collaborative motivation group, you and your coworkers can better identify ways to help each other, open up about your challenges, and form a supportive team that you might struggle to find on your own.